A Yahoo! sign is seen in Times Square. Yahoo! is gingerly expanding Twitter-like social-networking features while trying to avoid privacy stumbles made by titans Facebook and Google. Yahoo! is gingerly expanding Twitter-like social-networking features while trying to avoid privacy stumbles made by titans Facebook and Google. Yahoo! Updates launched nearly two years ago to let people stream updates about their lives, thoughts or activities at its free Web services such as email and instant messaging but sharing has been limited. In coming weeks, Yahoo! will expand the feature in its email service to include public updates sent from Messenger and Contacts, according to Anne Toth and Cody Simms of Yahoo!. "Before long, we’ll also allow you to start sharing your Updates with friends on Facebook, Twitter, and other social networks," Toth and Simms said in a blog post, calling the move a "big step forward." Yahoo! is urging users to thoughtfully manage privacy controls that let them dictate what information gets shared and with whom. 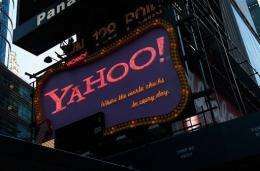 "You can easily limit who sees your Updates stream," wrote Simms and Toth, head of privacy at Yahoo!. "We’ve made sure this control is easy to find by putting it at the top of the page and that there is a single on/off check-box, with more granular controls for people who want their settings somewhere in between." Google was blasted in February after it launched a Buzz feature in Gmail that automatically set up social networks based on contacts people messaged often. Facing a slew of privacy complaints, Google swiftly modified Buzz. Google Buzz allows Gmail users to get updates about what friends are doing online and offers ways to share video, photos and other digitized snippets in a challenge to social networking stars Facebook and Twitter. Facebook last week began overhauling privacy controls in the face of a barrage of criticism that it is betraying the trust which has made it the world's biggest social network. Facebook redesigned its privacy settings page to provide a single control for content and "significantly reduce" the amount of information that is always visible to everyone. Facebook also gave its more than 400 million members increased control over how outside applications or websites access information at the service.